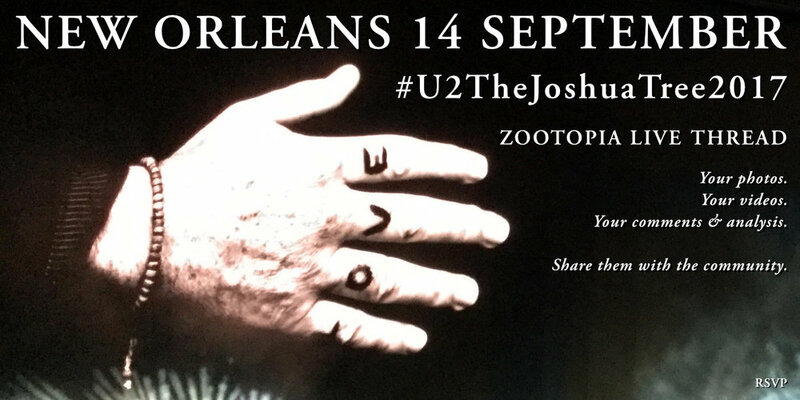 Hello everyone, enjoy your show New Orleans!The Saints stadium seems like a great place for U2 and the fans!! Badsilver, what is the meaning of you Woo girl avatar? Think I may have forgotten! Haha...I once apologized for posting a video where I hadn't realized I was doing the Woooo that people hate on posted videos....but sometimes you just have to Woooo! 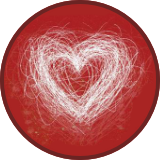 I had a patch designed for it by a great person! It's great us subscribers and free forum peeps can embed a tweet now. We couldn't do this before. People Have The Power! I agree! I am so grateful to have this forum too! Well....at least there are no glitches on the mixlir or periscope links!! lol Some occasional buffer at times...it can't be helped. I will say this each show it I must, they should make a coffee table book of the poems and photos of this tour!! Perhaps Anton Corbijn?